The Crystal Diamond Paperweights will add glamour to any desk top. Generously sized to blaze in the light, these Paperweight will refract brilliant rainbows as they highlight laser engraved corporate logos or text. 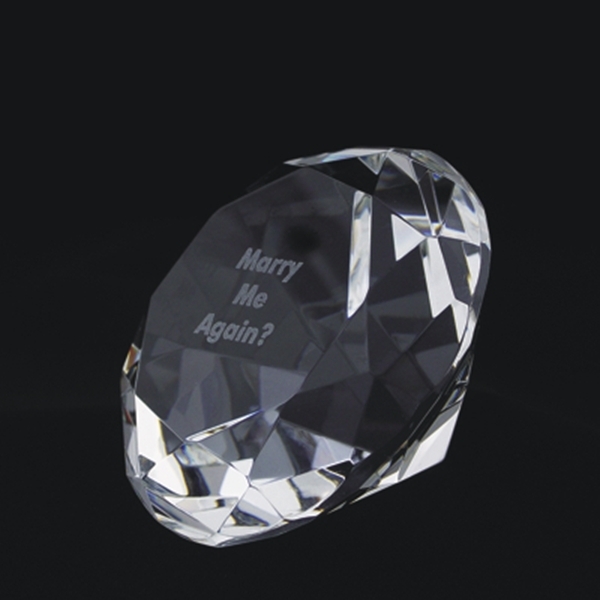 The Crystal Diamond Paperweight will laser engrave a frosty white color for excellent contrast.